After Mexico’s 6-0 thrashing of Cuba, I think all U.S. fans were ready for a dominant performance of our own. I texted my good friend Tunde before the game, “If we don’t win by 4 today I’ll be pissed.” Well, we didn’t win by 4, actually, I would argue we barely outplayed our opponent, but we came away with three points and have secured our spot in the knockout stage. If you did not catch the game here are some video highlights, which include Dempsey’s clinical finish off a splendid square ball from Gyasi Zardes. Although I could, I am not going to spend this time describing in detail everything that is wrong with the current U.S. team. For those that watched the match, you know that such a list would go on… and on… and on… Just take a quick glance at the statistics from the match and you will see that the U.S. only took 6 shots and only 2 were on target. The Americans simply did not create enough chances. Although the U.S. dominated possession, the Haitians were able to counter quickly and created countless opportunities that would have been finished by a better team *cough* Mexico *cough*. Haiti’s wingers, especially Jaggy, consistently dribbled around our fullbacks and served in dangerous balls. Between the breakaway saved by Guzan off of Gonzalez’s failed offside trap in the 57th minute and the header off Jaggy’s cross in the 63rd, the Haitians could have easily tied or taken the lead of this match… Sure, the U.S, won, again, but this performance was far from what we should expect to see from the U.S., both in the final third and defending with our back to goal. Quite simply, we are better than this. Although I could continue lamenting our poor performance, let’s keep in mind what this game was: another experiment for Klinsmann. He started 7 completely different players, which included an entirely new back line. Fabian Johnson, one of our best players, did not start, Beckerman did not enter the game until the final minutes, and Yedlin did not enter the game at all. The team that started Friday night will not be the same team that will start against Mexico in the finals or semifinals. 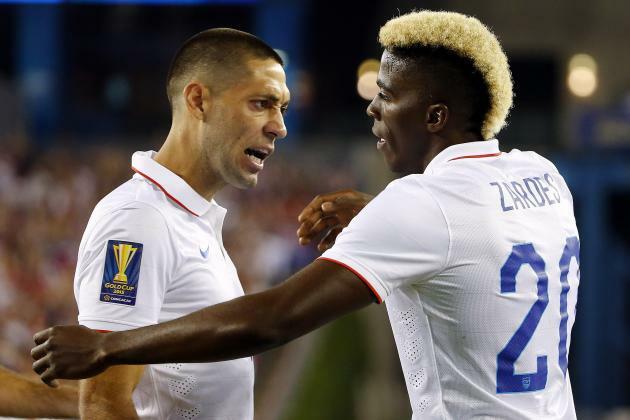 Rather, let’s focus on the bright spot of the match: Gyasi Zardes. 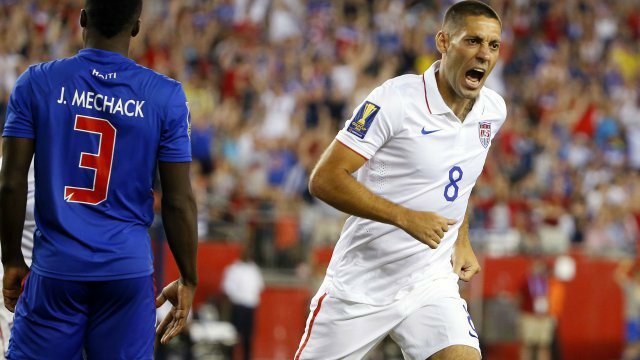 The United States are desperately in need of a player who can play alongside Clint Dempsey. A player who is strong and fast, who can hold possession and make intelligent decisions with the ball at his feet, someone who is reliable inside the 18 and who can be counted on to share the scoring burden with Dempsey. Dempsey cannot take us far in the World Cup alone. He needs someone to help. Last year at Seattle, he had Obefemi Martins, who allowed him to flourish and finish in the top 10 in the MLS in both goals and assists. 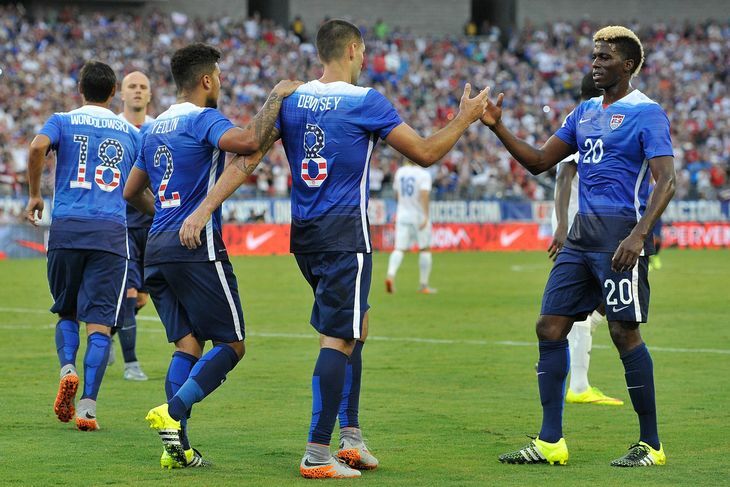 Can Gyasi Zardes be that player who elevates the U.S. to the next level? I do not know the answer to that question, but yesterday evening he played an outstanding 45 minutes of soccer. When he received the ball in the box, he was calm and collected, and he delivered the ball on a silver platter to our best striker. Earlier in the match, Jozy was in a similar position. He cut the ball back into trouble and shanked it off a Haitian defender (granted, the goal by Jóhannsson should have counted, but that’s not the point). I have always been a Jozy fan, but I don’t think he is the player that is going to carry the U.S. to the next level, Gyasi Zardes might be that player. Zardes is currently 23-years-old. He signed with the LA Galaxy in 2012 after finishing three years at Cal State, and has scored 20 goals in his first two seasons. He currently has 10 USMNT caps. He has natural goal scoring ability, elite strength and decent speed, and he is intelligent with the ball at his feet. What he lacks is elite technical ability, but he still has three years to cultivate those skills before the next World Cup. Gyasi Zardes is a young player with unprecedented potential, and I think he could become an amazing striker (think Didier Drogba…) if he were to spend some time playing in the Premier League. Just look at what the Premier League did to Clint Dempsey and Tim Howard. 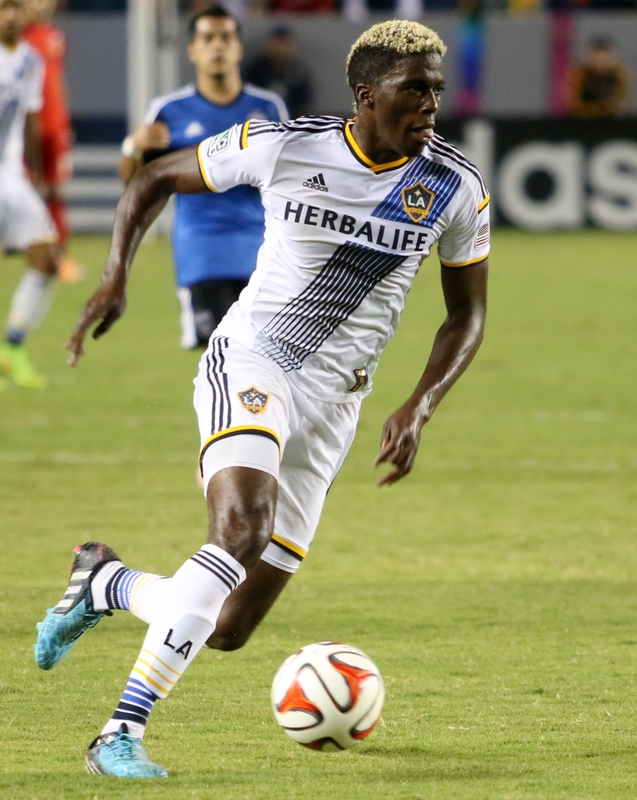 Gyasi Zardes is a young player with great potential, and I think he could become an amazing striker (think a Didier Drogba type…) if he were to spend some time playing in the Premier League. Will he be granted that sort of opportunity? Would he take the opportunity if presented to him? I do not know. There were a lot of things to be upset about in last night’s match, but there was at least one bright spot, and his name is Gyasi Zardes.